It’s always annoying when your PC crashes and blue screen pop up with Windows stop code. But it’s more frustrating when you have Windows stop code and you have no idea what to do with it. We have created Windows stop code list and information on individual STOP errors. First, let’s know more about new updated Blue Screen of Death (BSOD) in Windows 10. The new BSOD is similar to the old BSOD screen with few new additions. Now the screen comes with QR code and also show stop error codes. Blue Screen of Death (BSOD) with Windows Stop Code. Of course, the most noticeable addition is the QR code, which is intended to offer users a fast and quick solution. Well, it’s not, the QR code simply directs the user to the same windows.com/stopcode URL, which resolves to this page, a generic resource for ‘troubleshooting blue screen errors‘. 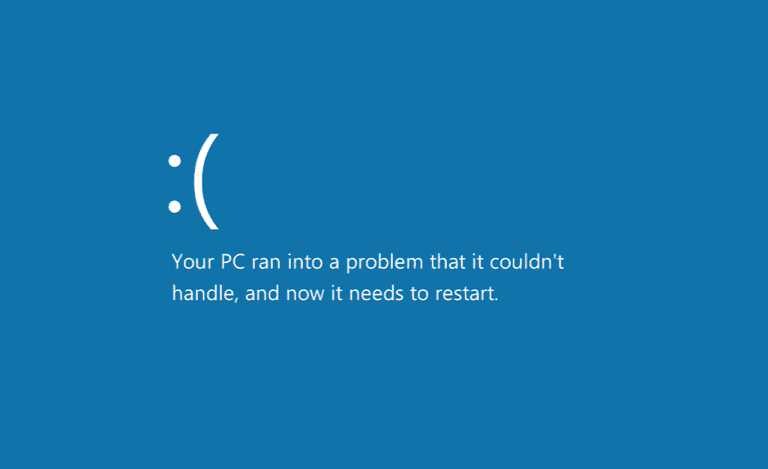 The Blue Screen of Death (BSOD) errors are technically called a STOP error, occurs when Windows suffers a serious error and is forced to “stop” completely. Users without deep technical knowledge would probably just search those terms, and end up with useless results. Recently, Microsoft published a new Windows update error tool for Windows 10 users. You can also check error codes for Windows 10 Mobile devices. TIP: Press Ctrl+F or Ctrl+F3 and enter your Windows stop code. This will save your time. However, if you fail to find your error code, just post a comment and we’ll find it for you. 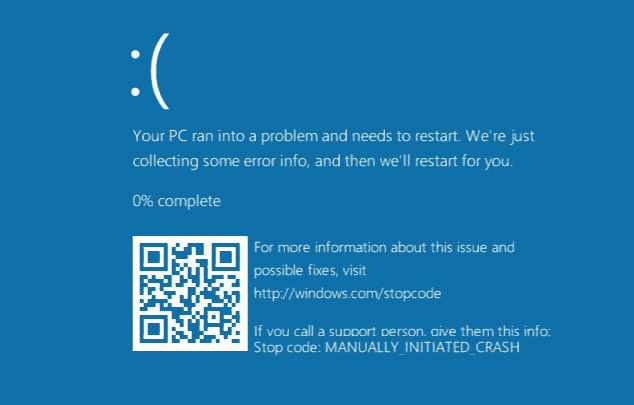 0x00000027 This BSOD means that a problem occurred in the SMB redirector file system. BSOD error code 0x00000027 may also show “RDR_FILE_SYSTEM” on the same blue screen. Windows Stop Code. 0x00000031 This BSOD means that system initialization failed. BSOD error code 0x00000031 may also show “PHASE0_INITIALIZATION_FAILED” on the same blue screen. Windows Stop Code. 0x00000046 This BSOD is uncommon. BSOD error code 0x00000046 may also show “DEREF_UNKNOWN_LOGON_SESSION” on the same blue screen and Windows Stop Code. 0x00000047 This BSOD is uncommon. BSOD error code 0x00000047 may also show “REF_UNKNOWN_LOGON_SESSION” on the same blue screen and Windows Stop Code. 0x00000048 This BSOD means that an I/O request packet (IRP) was completed, and then was subsequently canceled. BSOD error code 0x00000048 may also show “CANCEL_STATE_IN_COMPLETED_IRP” on the same blue screen and Windows Stop Code. 0x00000049 This BSOD is uncommon. BSOD error code 0x00000049 may also show “PAGE_FAULT_WITH_INTERRUPTS_OFF” on the same blue screen and Windows Stop Code. 0x0000004A This BSOD means that a thread is returning to user mode from a system call when its IRQL is still above PASSIVE_LEVEL. BSOD error code 0x0000004A may also show “IRQL_GT_ZERO_AT_SYSTEM_SERVICE” on the same blue screen and Windows Stop Code. 0x00000060 This BSOD is uncommon. BSOD error code 0x00000060 may also show “PROCESS_INITIALIZATION_FAILED” on the same blue screen. Windows Stop Code. 0x00000078 This BSOD is uncommon. BSOD error code 0x00000078 may also show “PHASE0_EXCEPTION” on the same blue screen. Windows Stop Code. 0x0000007D This BSOD means that there is not enough memory to start the Microsoft Windows operating system. BSOD error code 0x0000007D may also show “INSTALL_MORE_MEMORY” on the same blue screen and Windows Stop Code. 0x0000007F This BSOD means that the Intel CPU generated a trap and the kernel failed to catch this trap. BSOD error code 0x0000007F may also show “UNEXPECTED_KERNEL_MODE_TRAP” on the same blue screenand Windows Stop Code. 0x00000080 This BSOD means that a hardware malfunction has occurred. BSOD error code 0x00000080 may also show “NMI_HARDWARE_FAILURE” on the same blue screen and Windows Stop Code. 0x00000081 This BSOD is uncommon. BSOD error code 0x00000081 may also show “SPIN_LOCK_INIT_FAILURE” on the same blue screen and Windows Stop Code. 0x00000082 This BSOD is uncommon. BSOD error code 0x00000082 may also show “DFS_FILE_SYSTEM” on the same blue screen and Windows Stop Code. 0x000000A4 This BSOD means that a problem occurred in the CNSS file system filter. BSOD error code 0x000000A4 may also show “CNSS_FILE_SYSTEM_FILTER” on the same blue screen and Windows Stop Code. 0x000000A5 This BSOD means that the Advanced Configuration and Power Interface (ACPI) BIOS of the computer is not fully compliant with the ACPI specification. BSOD error code 0x000000A5 may also show “ACPI_BIOS_ERROR” on the same blue screen and Windows Stop Code. 0x000000A7 This BSOD means that the kernel-mode handle table detected an inconsistent handle table entry state. BSOD error code 0x000000A7 may also show “BAD_EXHANDLE” on the same blue screen. Windows Stop Code. 0x000000AB This BSOD means that a session unload occurred while a session driver still held memory. BSOD error code 0x000000AB may also show “SESSION_HAS_VALID_POOL_ON_EXIT” on the same blue screen and Windows Stop Code. 0x000000E6 This BSOD is the STOP code for all Driver Verifier DMA Verification violations. BSOD error code 0x000000E6 may also show “DRIVER_VERIFIER_DMA_VIOLATION” on the same blue screen and Windows Stop Code. 0x000000E7 This BSOD means that a thread’s saved floating-point state is invalid. BSOD error code 0x000000E7 may also show “INVALID_FLOATING_POINT_STATE” on the same blue screen and Windows Stop Code. 0x000000E8 This BSOD means that an invalid file object was passed to IoCancelFileOpen. BSOD error code 0x000000E8 may also show “INVALID_CANCEL_OF_FILE_OPEN” on the same blue screen and Windows Stop Code. 0x000000E9 This BSOD means that an active executive worker thread is being terminated. BSOD error code 0x000000E9 may also show “ACTIVE_EX_WORKER_THREAD_TERMINATION” on the same blue screen and Windows Stop Code. 0x000000EA This BSOD means that a thread in a device driver is endlessly spinning. BSOD error code 0x000000EA may also show “THREAD_STUCK_IN_DEVICE_DRIVER” on the same blue screen and Windows Stop Code. 0x000000FC This BSOD means that an attempt was made to execute non-executable memory. BSOD error code 0x000000FC may also show “ATTEMPTED_EXECUTE_OF_NOEXECUTE_MEMORY” on the same blue screen. Windows Stop Code. 0xDEADDEAD This BSOD means that the user deliberately initiated a crash dump from either the kernel debugger or the keyboard. BSOD error code 0xDEADDEAD may also show “MANUALLY_INITIATED_CRASH1” on the same blue screen. (Yes, this means a self-inflicted BSOD!) Windows Stop Code.